The Woods crashed to a very disappointing 0-2 Bostik League defeat at the hands of Egham Town at The AcreTweed Stadium this afternoon. And remarkably, it was Egham's first away points of the season, having lost their previous sixteen league fixtures on the road. But a goal either side of the half-time interval ended that poor run. Northwood manager Scott Dash said afterwards: "Our performance today was not good enough, and I feel we let the club and fans down, so from myself and our team we apologise to all." 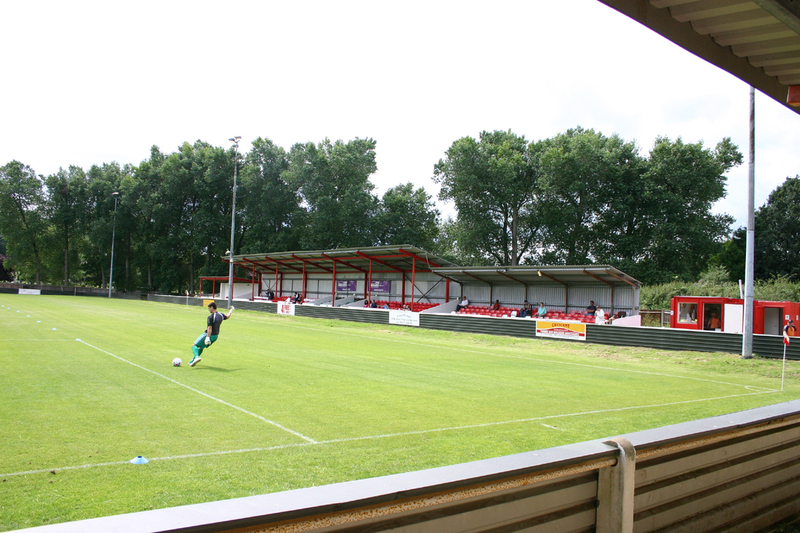 Hopefully, there will be a winning reaction at Hanwell Town next Saturday! The match report and photos are here. Get with the Woods programme on Saturday!! The Woods matchday programme is back for Saturday's Bostik League game at The AcreTweed Stadium against Egham Town, featuring young winger Kyran Worrell on the cover! Inside this issue we hear the latest news from Chairman Ian Barry and manager Scott Dash, whilst we talk with defender Dan Newton and long-time supporter Paul Evans; also in the programme is the regular column from sports journalist Matt Ford. Add to that, Alan Evans' Club Matters, match reports and photos, a visitors' review, plenty of historic content plus other features, it's an issue that you won't want to miss! Costing just £2.50, the Woods matchday programme will be on sale in the clubhouse and at the turnstiles. Northwood kept their recent good Bostik League form going this afternoon, when they won 2-1 away to near-neighbours Chalfont St Peter. It was the Woods' sixth victory in seven league outings, and the win moved them to within six points of the play-off places - albeit with just six fixtures left to play. Ben Pattie, starting his first league game since mid-December due to his long injury lay-off, put Northwood ahead with nine minutes on the clock after Kyran Worrell and Chris Gosling combined to set him up. And Pattie send Zaied Sabti away to net the second in the 62nd minute. Chalfont's consolation came two minutes into stoppage time, preventing Luke Sheldrick from completing a second successive clean sheet. The Woods enjoyed a good run-out when they played a friendly away to Rayners Lane on their new 3G playing surface this evening, winning by an 11-0 margin. 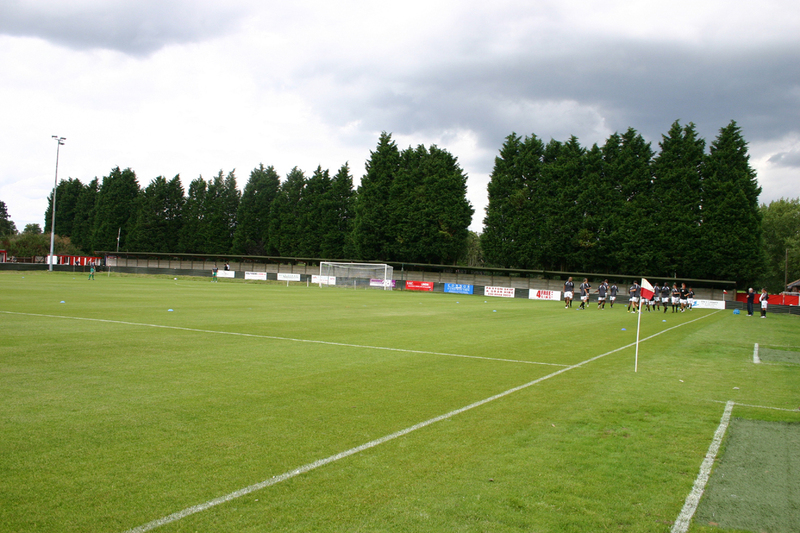 The fixture against Rayners Lane, who play in Division One of the Spartan South Midlands League, and are managed by former Northwood reserves boss Dave Fox, enabled manager Scott Dash to give game time to several players coming back from injury or having been away. Northwood led by six goals at the interval, although the home side did miss a penalty during that period. Teenager Kyran Worrell led the way with four goals, whilst Ben Pattie - missing through injury since December - netted three. The other scorers were Jabir Laraba 2, Alex Witham and A Triallist. The match report is here. A goal either side of the half-time interval was sufficient for Northwood to claim their fourth victory in five Bostik League South Central outings at The AcreTweed Stadium this afternoon. Visitors Chipstead, making their first-ever visit to Northwood, were strong opposition for Scott Dash's side, who maintained their recent good form as they enter the final six weeks of the campaign looking to finish as high as possible and with some County silverware in their sights. Trey Charles put the Woods ahead with a cracking drive on 43 minutes, and Dan Pett grabbed the second six minutes after the restart when he made the most of a defensive mix-up. Trey Charles was named the Active IT Solutions Man of the Match. The match report and photos are here. The Woods matchday programme is back for Saturday's Bostik League game at The AcreTweed Stadium against Chipstead, featuring midfield man Kieran Asumadu-Sakyi on the cover! Inside this issue we hear the latest news from Chairman Ian Barry and manager Scott Dash, whilst we talk with striker Zaied Sabti and club photographer James Brown; also in the programme is the regular column from sports journalist Matt Ford. 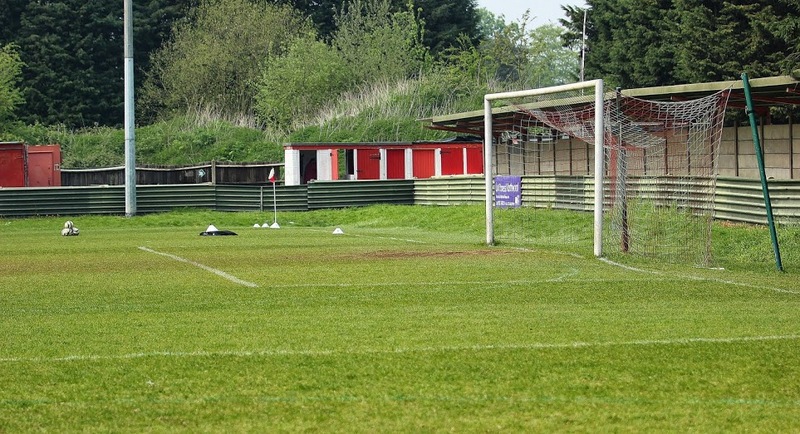 If it's goals you want to see, Scott Dash's Northwood are the Bostik League team to watch!! There were five goals last week, and seven this week as the Woods just edged a 4-3 victory at Hertford Town. Northwood raced into a two-goal lead inside the opening 13 minutes, Kweku Lucan making it 1-0 then Alex Witham added a second with a 20-yard drive. Hertford pulled a goal back ten minutes into the second period, but when Zaied Sabti's converted Witham's cross on 68 minutes, it might have been all over, but no! 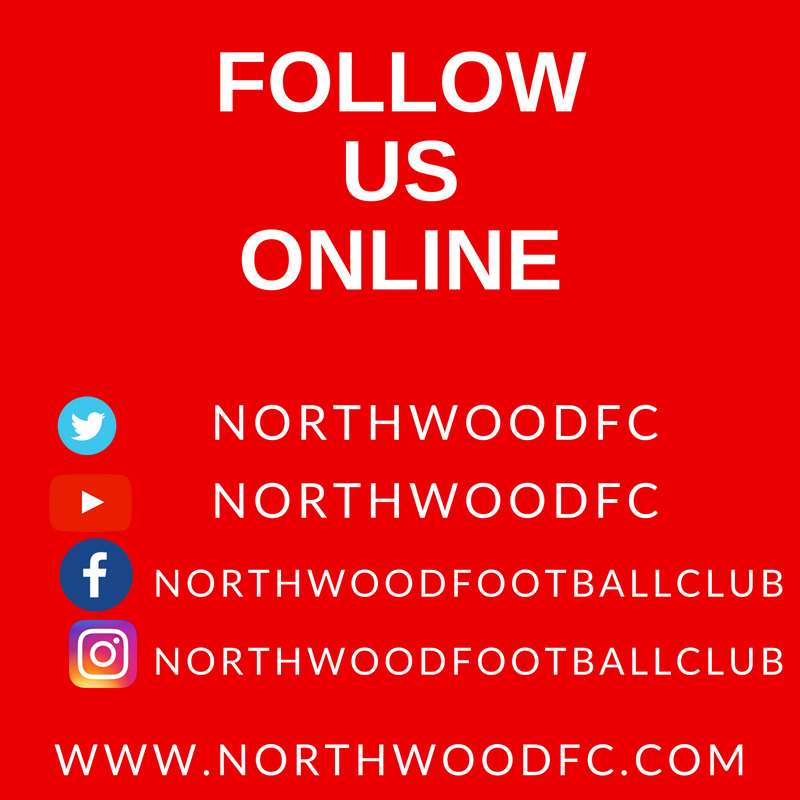 The home side came back strongly in the closing stages, scoring twice including a 90th minute leveller at 3-3...but four minutes into stoppage time Northwood skipper Carl Pearce got on the end of a Sabti pass to grab the clinching goal for Woods' eighth away league win of the season. We are very sad to report that Chris Potter, player and manager of Northwood’s Harrow & Wembley League teams in the 1970s, and more recently, club secretary of Hillingdon Borough FC, has passed away. Our sincere condolences go to Chris’s family and friends. The funeral will be held on Friday 15th March at Ruislip Crematorium from 12.15. All are welcome to attend to pay their respects. An excellent Zaied Sabti goal two minutes into stoppage time clinched an exciting 3-2 Bostik League victory against Bedfont Sports for the Woods at The AcreTweed Stadium this afternoon. But it seemed an unlikely outcome at the interval, when the visitors held a two-goal lead and looked well in control. Whatever boss Scott Dash said in the dressing room clearly worked as his side were soon clawing their way back into the match. Alex Witham pulled a goal back seven minutes after the restart, then Northwood were awarded a penalty in the 71st minute when the visiting keeper clattered Trey Charles; Witham confidently hammered home the spot-kick. The turnaround was completed in added time when Zaied Sabti burst into the box to fire the ball past the keeper and inside the post - and the Woods dramatically took the three points! Kieran Asumadu-Sakyi was named the Active IT Solutions Man of the Match. The match report and photos are here. 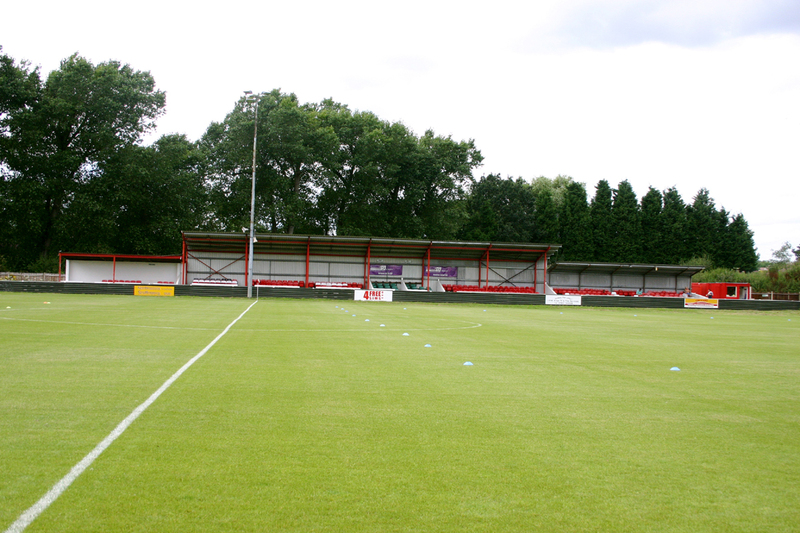 After the club's two single-year agreements for a groundshare arrangement to assist London Tigers FC over the past couple of seasons, we have been advised that our partnership will come to an end in May 2019. We thank London Tigers for their pleasant company and easy-going nature during the past two years and wish them well for the future. 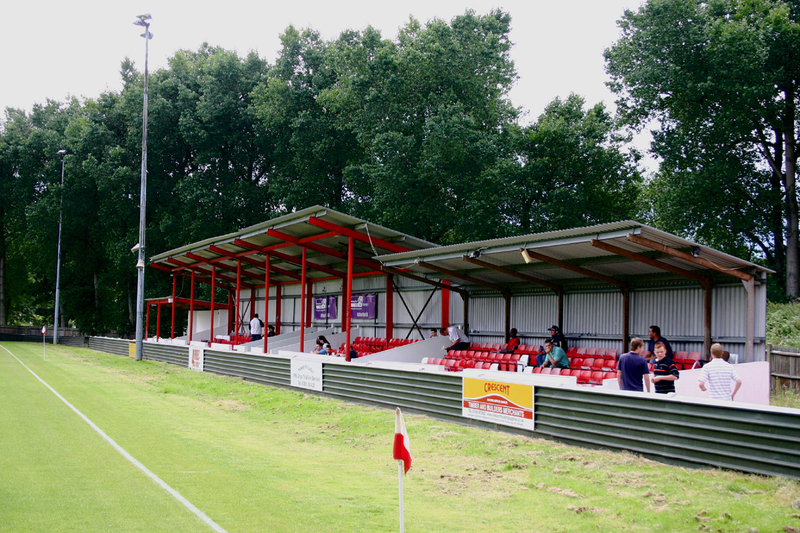 Northwood FC remain open to the possibility of continuing to allow a club the use of our ground from next season along similar terms, and invite any interested applicants to express their interest in exploring this possibility by emailing Secretary Alan Evans at alan.evansnfc@btopenworld.com within the next fourteen days.